Click the downloads button above to download. 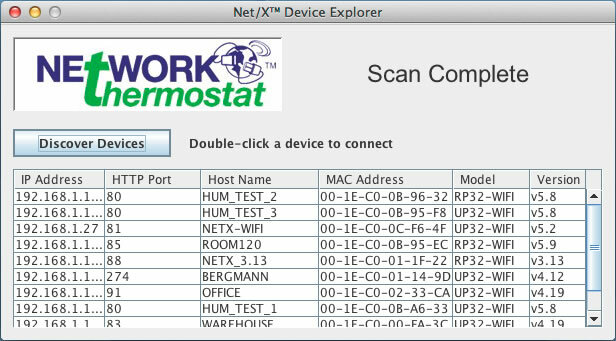 The Net/X™ Device Explorer for PC and Mac is a simple JAVA application which allows you to find all Net/X™ Ethernet and Wi-Fi products on the same network as the PC or Mac (yep, you can use either a PC or Mac). 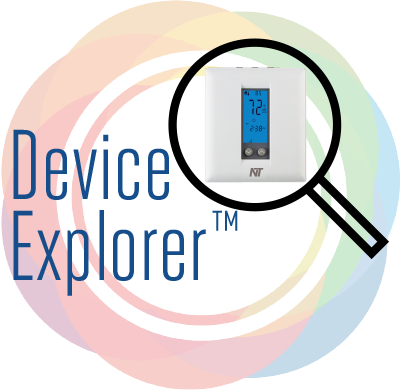 Simply download and install the application on any Apple Mac® or Windows® desktop machine (not iOS products or Windows™ Mobile) and click 'Discover Devices', click the device you want to use, and your default browser will open a new tab with the device's main page. Any Apple Mac® with Ethernet and/or Wi-Fi, and the most recent JAVA application installed. Previous versions of Windows will not work. All Windows images and 'Windows' text are trademarks of Microsoft Corporation.